Trust in Chandlers BMW for all of your motoring requirements. Each centre is fully authorised and approved by the manufacturer to give you total confidence in our services. Our BMW centres in Brighton, Hailsham and Worthing have specialist departments and team members available to meet a vast breadth of driver needs. Those seeking a BMW business vehicle or fleet solution, to customers applying for the Motability Scheme can contact us for comprehensive support. We even have the complete range of new BMW cars available in your chosen style, specification and accessory option to customise them completely to your requirements. Every elegant, individual BMW can be taken out for a test drive or ordered from us. They're offered alongside a selection of hand-picked, inspected Approved Used BMW's. For more information on our services and the many advantages that we can offer you as a main BMW retailer, please get in touch with the your local Chandlers BMW centre. To be in with a chance to win all you have to do is visit Chandlers BMW at stand 16 and register your interest, you will be entered into a free prize draw with the chance to win a sensational weekend in the revolutionary BMW i8! 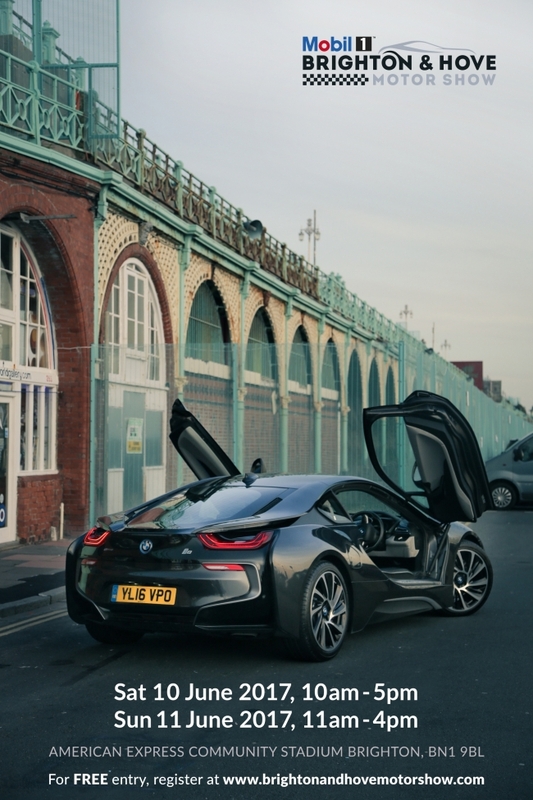 BMW i8 - Have You Considered Electric?